The Korgis are Koming to Kardiff!! All of our friends have been screaming at us – where is the Cardiff gig?! 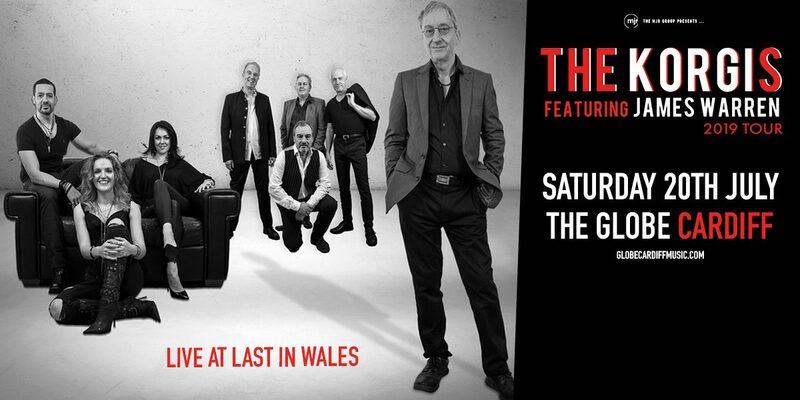 !… so this is like a homecoming for us, as so many of the band are from South Wales. Here is a brief reminder of who we are and what we do! The Korgis are a British pop band known for the hit singles ‘Everybody’s Got To Learn Sometime’, ‘If I Had You,’ ‘Dumb Waiters,’ ‘If It’s Alright With You Baby’ and many more. They are now led by singer/bassist James Warren (also a former member of 1970s cult prog-rock band Stackridge), and include vocalist John Baker and guitarist Al Steele from the 1990s Korgistouring band. Keyboardist Glenn Tommey and powerhouse drummer Paul Smith make up the rhythm section and ‘Born To Win’ provide brilliant backing vocals and bring a vibrant energy to the show. Going back to the very first Stackridge song ever released, through all the Korgis hits and favourites plus excellent new material, the 2019 show has elicited comments such as ‘flawless musicianship’ and ‘breathtaking musicality’.